We made it! Today was the final weigh in for the Game On! Diet. I will be completely honest I was disappointed that I didn't loose more weight. However, my endurance levels are way better than when I started and I can feel and see some positive changes in how I look. It wasn't all fun and games (no pun intended) - it was mentally and physically challenging and at times frustrating and disappointing. However, I came away with new habits and some knowledge about myself I didn't have before. Overall I had a great experience with the game and I am excited to do it again. The game required a major overhaul of my daily habits. For example, before the game I was terrible at eating breakfast and often wouldn't eat very much throughout the day and then eat a big dinner. The game forced me to change my habits and prioritize taking care of and fueling my body properly. While I was on the game the biggest thing I noticed was that my energy was consistent throughout the day - no afternoon energy crash. Work out in the morning - it is so much easier to get up earlier and workout than it is to realize at 9pm you haven't worked out yet! Plan - it seems tedious at times but if you plan your day before it starts it makes life so much easier. Drink water in the morning - 3 liters is a lot of water to drink if you are not used to it so I highly suggest start drinking water when you first wake up and keep drinking consistently throughout the day. Just like working out there is nothing like realizing you have to drink a liter of water right before bed! Do the game with people you know - for this round I joined a group of people who had done the game for 2 and 3 rounds and I only knew two people. I had a great time getting to know them but I think that it would be a completely different experience if I had known them before. Communicating with people every day that you really don't know is kinda awkward. Be intentional - notice what you are doing every day, what are you eating, what is your activity level, how do you feel? Be intentional when you choose how you are fueling body, be intentional when you choose what to do with your time. Think about what you want to achieve and intentionally plan your day to work towards that goal. Notice how you feel - notice how you feel, what your energy level is, and what you are doing during that time. If you have high energy - notice what you are doing to cause it, if you are stressed out - notice what is going on in your life - getting more in tuned with your body and feelings and adjusting your actions and thoughts accordingly will help you make life long changes. The Game On! Diet is a 4 week challenge so that means that at the end of the 4 weeks YOU will notice your body changing. At the end of your second challenge your friends will notice your changes and by the third challenge everyone else will notice so keep going! 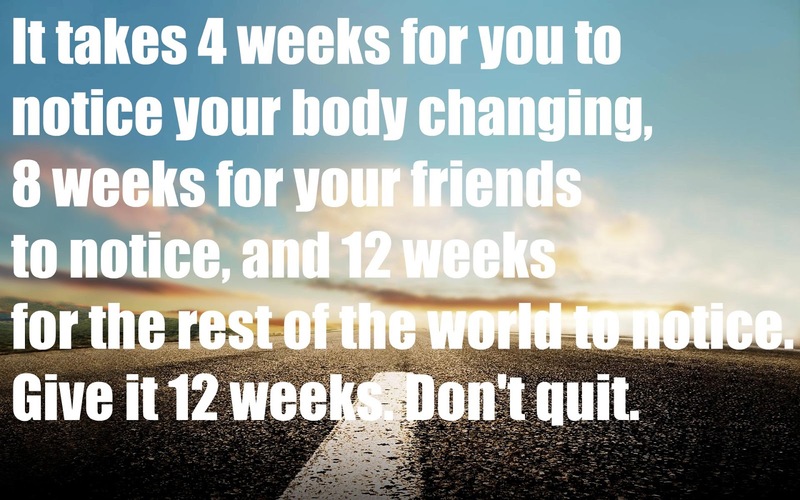 Don't give up because you get bad results one week - challenge yourself, push yourself, and keep working towards your health and fitness goals. Have you done the Game On! Diet or another health challenge before? What did you like or not like? What habits do you have that help you work towards a healthier life? How do you mix up your routine to keep from getting bored?